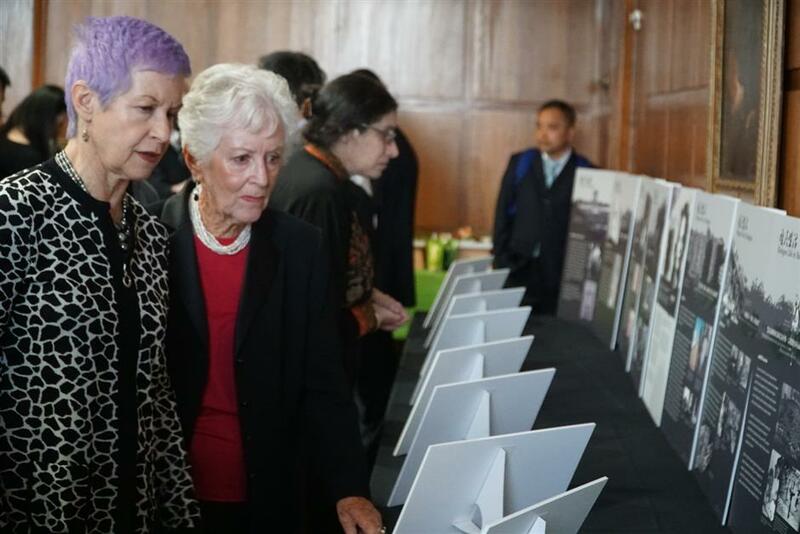 Photos on display at Brooklyn Public Library include one of 90-year-old Betty Grebenschikoff's family in Hongkou District after they sought shelter in the city during World War II. 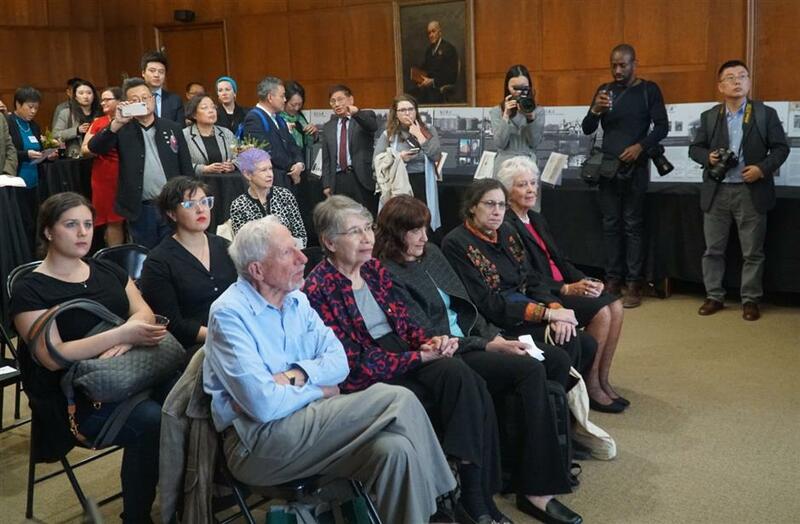 The exhibition, "Jewish Refugees in Shanghai," documents the period when about 23,000 Jewish people arrived in Shanghai between 1933 and 1941 to escape the Nazis. It tells of how they adapted to the city life and of the friendships they made with local residents. "That young lady is me," Betty Grebenschikoff, 90, said as she stood in front of a photograph showing her family on Lintong Road, formerly known as Macgregor Road, in Hongkou District in 1941. 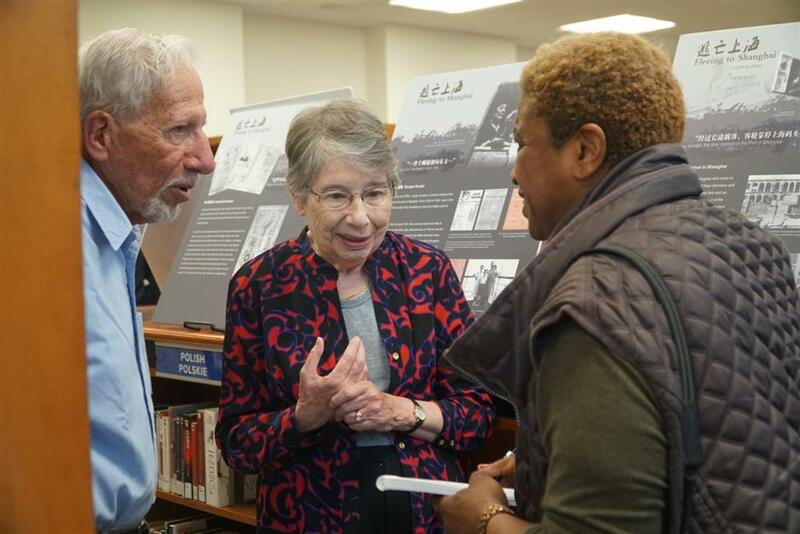 A photo of Grebenschikoff and her husband, a Russian sports teacher, at the former racecourse near People's Square in 1949 was also on display at Brooklyn Public Library, along with photos of their marriage certificate in Chinese and her residence certificate. "The exhibition showcases the dust-laden history to US audiences, which has shocked and touched them," a museum official said. "Some visitors appreciated the generous assistance offered by Shanghai and its citizens even if Chinese people were also suffering during that period."